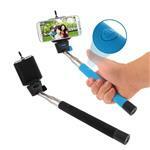 Take better-looking self-portrait photos from further away with our new Selfie Stick! Selfies and group photos are now a breeze. Have everyone in the family photo for a change.No extra apps needed to be downloaded! Just plug the cable into your phone to use the Built-In Shutter Button on the handle. Compatible with both iOS and Android devices. Adjustable phone clip to fit most mobile devices. Extends up to 30-inches for maximum reach. Weight: 0.3 pound [4.75 ounces]. 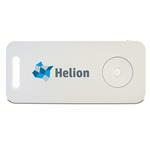 Imprint size: 0.75″W x 0.35″H. Available Colors: Black, White, Orange, Blue, Green, Red. Available Colors: Black, White, Orange, Blue, Green, Red. 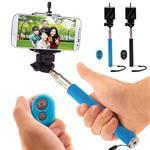 Selfie Stick, extends to 30", ios and Android compatible with modern operating systems.